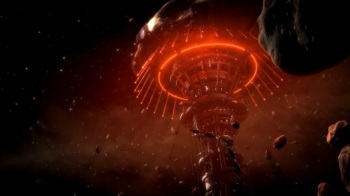 BioWare is working on more single-player DLC for Mass Effect 3 and has plans for a brand-new game in the franchise. There's a silver lining to today's sad news that BioWare co-founders Ray Muzyka and Greg Zeschuk are leaving the company and retiring from the business of making videogames. In his tribute to the good doctors and their monumental contribution to the videogame industry, BioWare Edmonton General Manager Aaryn Flynn said the company is ready to "carry on their legacy" with some big plans for the Mass Effect universe. "We are releasing more multiplayer content and we have more single-player stories coming throughout the next six months, including Omega which is coming in the fall," Flynn wrote. "But the Mass Effect universe is vast, and Casey [Hudson] and our teams have plans for another full game. 'Where to go next?' with such a project has been a question a lot of us have been asking, and we'd all love to hear your ideas." Flynn also revealed (without actually revealing anything) that BioWare is laying the groundwork for "an all-new game set in a fictional universe, built from the bottom up with all-new gaming technology." "Where to go next?" is certainly a loaded question. Regardless of how you felt about the way Mass Effect 3 ended, there was such finality to it that any kind of follow-up is almost doomed to be anti-climactic. There's plenty of room for new stories, sure, but how do you come up with something that compares to the end of the frikkin' galaxy as we know it? That's a mighty tough act to follow.